Classic and contemporary international film seasons, often linked to exhibitions at Side Gallery or to Amber's wider activity and concerns. Designed as a debate cinema, we like to organise filmmaker events and, with access to our digitised collection, can arrange special interest screenings of Amber's films and many of the photography exhibitions we hold. The Side Cinema, opened in 1979, is celebrating 40 years of facilitating a vital discursive space for independent cinema in the Northeast. 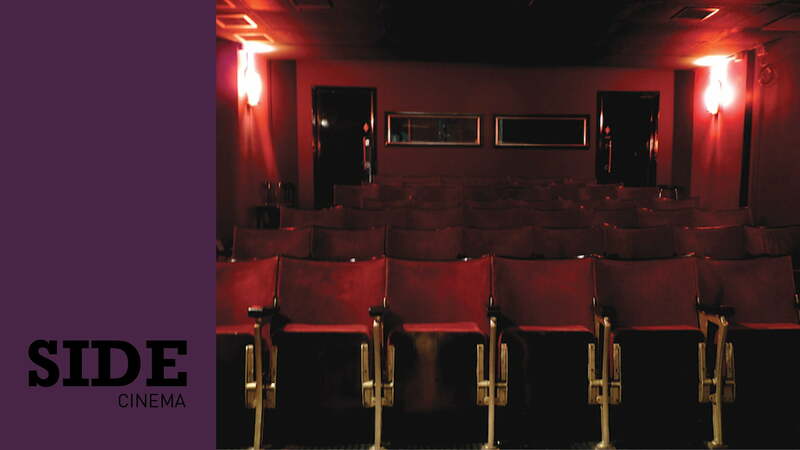 Our intimate, 51 seat cinema, was started by the Amber Collective as a ‘debate cinema’ – a place for rigorous discussion and the opportunity to experience film collectively. Join us as we begin our 40th year of sharing films together. During protest movements when the women would approach, banners held high, the people would shout ‘women on the move’. This season, we are exploring that motion – from pilgrimages, to protest marches, mournful drifting, wild wanders and the relentless searching for connection and understanding – all captured through the lens of women filmmakers. Each event in our cinema will be followed by a discussion. We will be providing a donations bar and ample time and space to discuss the films and the wider themes highlighted. The Side Cinema, opened in 1979, is celebrating 40 years of facilitating a vital discursive space for independent cinema in the Northeast. Our intimate, 51 seat cinema, was started by the Amber Collective as a ‘debate cinema’ – a place for rigorous discussion and the opportunity to experience film collectively. Join us as we begin our 40th year of sharing films together. This season has been supported by Film Hub North – part of the BFI Film Audience Network.